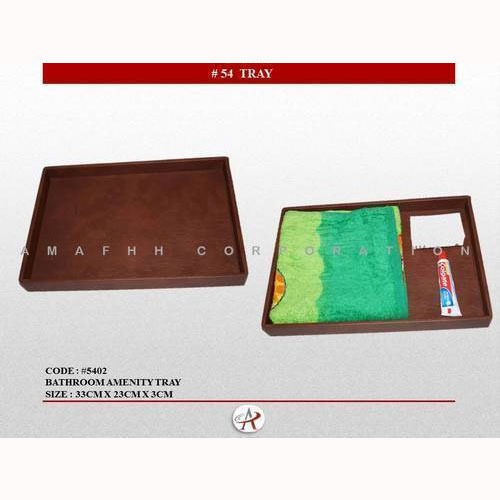 To meet the variegated demands of the clients, our company is instrumental in offering excellent quality range of Bathroom Amenity Tray. Incorporated in the year 2015, Amafhh Corporation has carved a remarkable niche in the market. Ownership type of our corporation is a sole proprietorship. The headquarter of our corporation is situated in Mumbai, Maharashtra (India). We are the foremost manufacturer of Bill Folder, Leather Menu Folder, Custom Menu Folder, Leather Blotter and many more. Offered products are precisely manufactured by using premium grade raw material and sophisticated technologies.